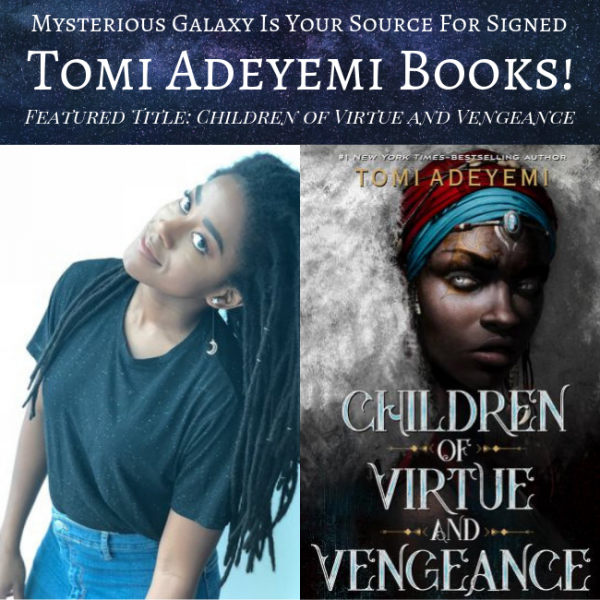 CHILDREN OF VIRTUE AND VENGEANCE now availabe for preorder! Tomi Adeyemi is a Nigerian-American writer and creative writing coach based in San Diego, California. After graduating Harvard University with an honors degree in English literature, she studied West African mythology and culture in Salvador, Brazil. Please note that personalized copies may take longer to process, pending author availability! Danger lurks in Orisha, where snow leoponaires prowl and vengeful spirits wait in the waters. Yet the greatest danger may be Zelie herself as she struggles to control her powers--and her growing feelings for an enemy.